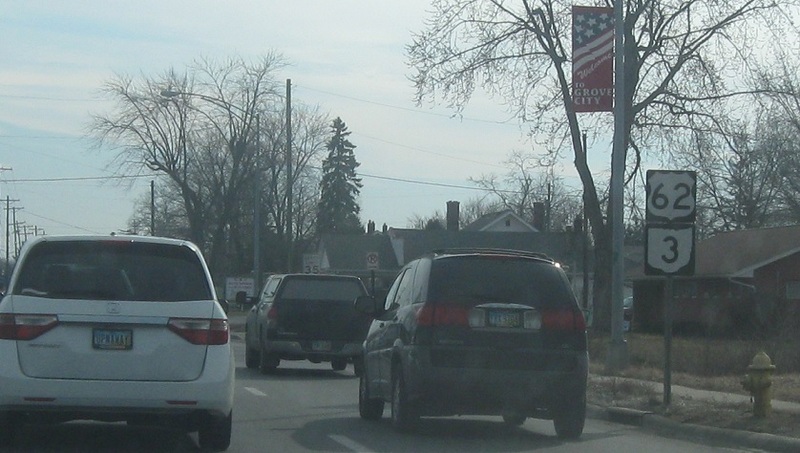 Reassurance shield after the I-270 junction as we enter Grove City. Reassurance shield as we head out of Grove City. 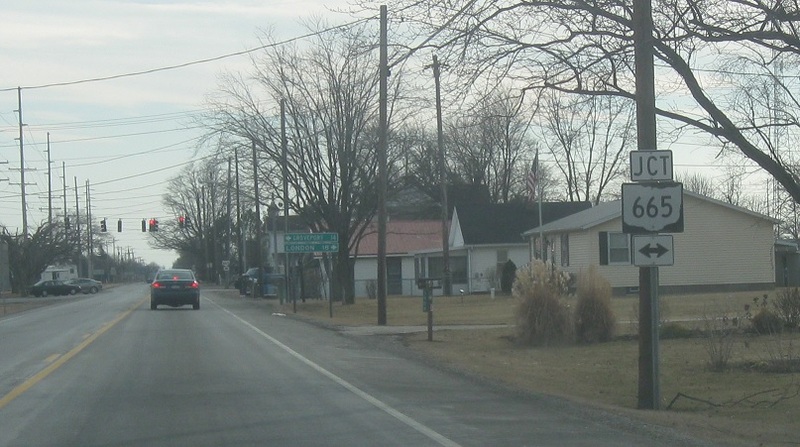 A mile or so out of Grove City, we’ll enter unincorporated Pleasant Corners. 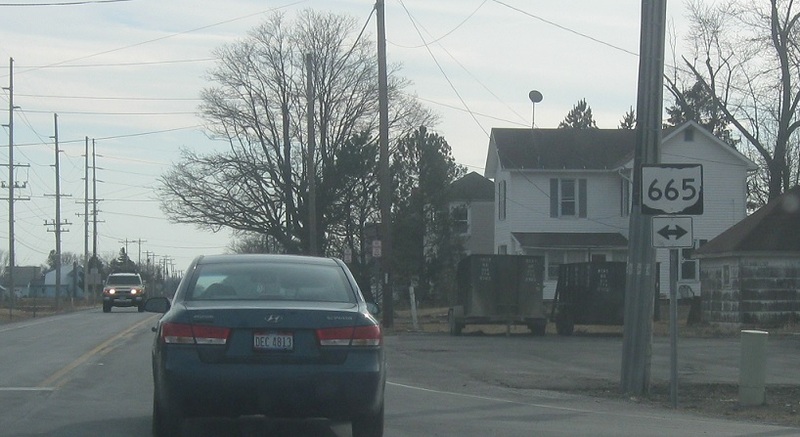 And come to a junction with SR 665. 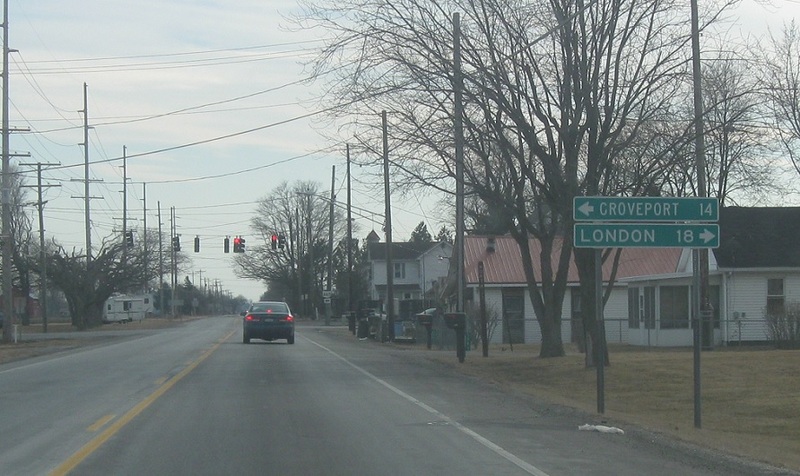 Follow 665 east to Groveport and 665 west to London. Turn left for 665 east and right for 665 west.